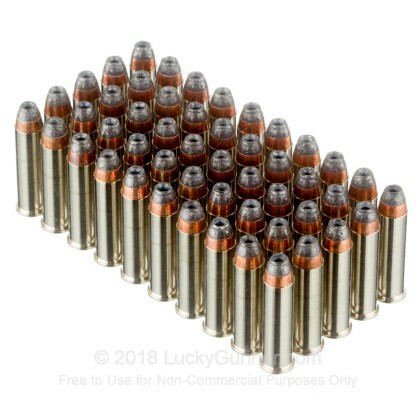 You'll skip the tricky handloading and designer ammunition price when you choose these affordable, dependable .357 Magnum loads from Remington. 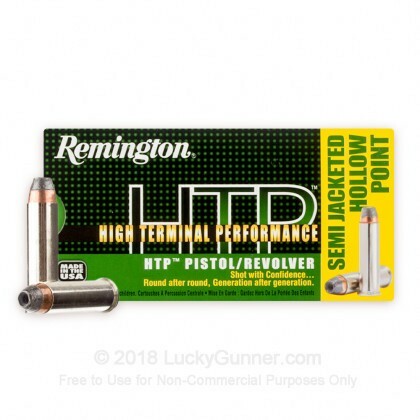 As part of the HTP (High Terminal Performance) brand, this ammo is specifically designed for personal defense in mind and is built using traditional components which don't offer premium features but retain full functionality and value to match. These parts include non-corrosive Boxer primers affixed to reloadable brass casings which can be collected, cleaned, and reloaded after firing. 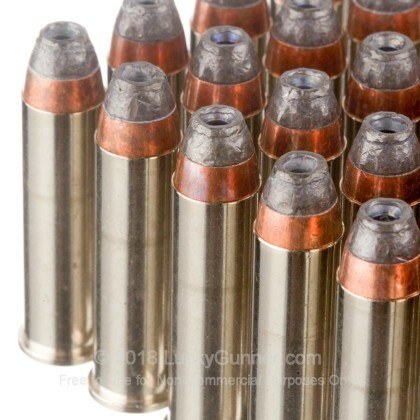 Each case is topped with a semi-jacketed hollow point (SJHP) projectile which weighs in at 180 grains. 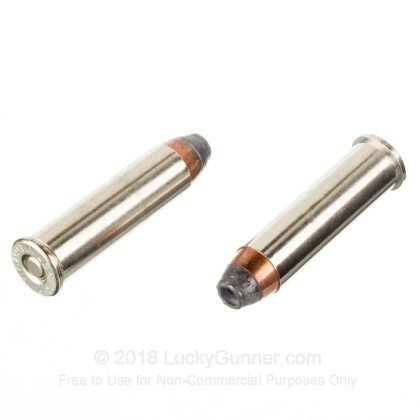 While this is quite a heavy weight for the .357 caliber, it is intended for longer barrels and delivers exceptional momentum to a target. During its penetrating entry, the SJHP's exposed lead nose and hollow cavity will cause it to experience massive expansion which is controlled by the bullet's strong copper jacket; this calculated design allows the bullet to defeat thick clothing and bypass thick layers of bone before flattening out and settling in more vital zones. When the round reaches its final destination, it will deliver the majority of its energy to critical organs in order to stop a threat with greater speed and effect. 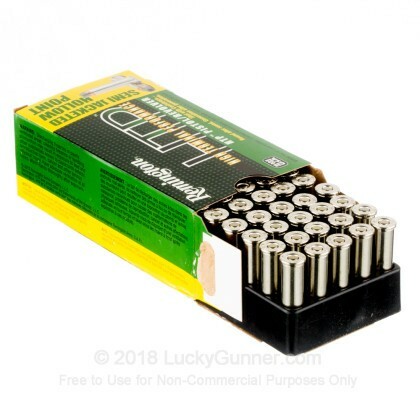 This Ammo is the best bang for the buck. Look at L.G. tests. I use it in all of my 3 .357 Very Happy with it. Put this in your chamber then Fed. A.E. feel the difference. Great Bang for the Buck! 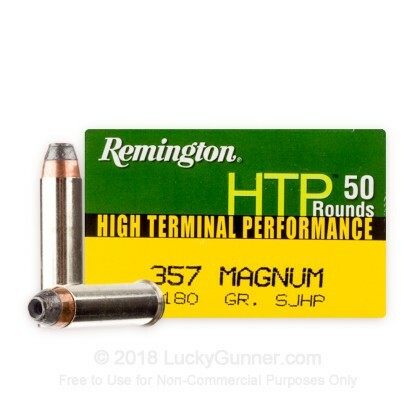 We also have this 357 Mag - 180 gr SJHP - Remington HTP - 50 Rounds ammo in stock in a smaller quantity.